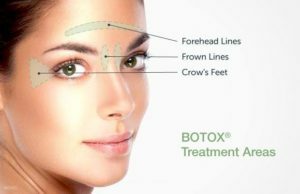 Botox injections are used to soften lines creating a smoother more youthful, fresher appearance. So-called, hyperkinetic wrinkles, result from recurring contraction of the muscles of facial expression. 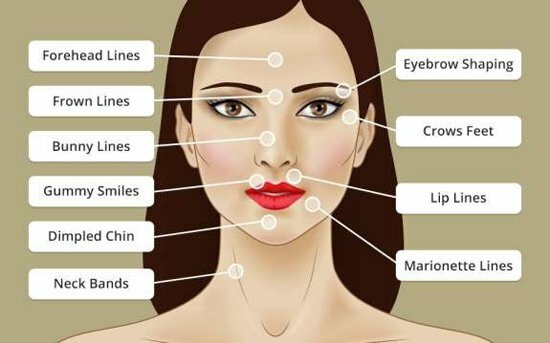 Botox is injected into specific areas of facial muscles to limit their contraction. 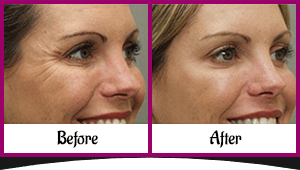 Consequently the overlying skin does not ‘fold’ or crease resulting in a smoothing effect. We rely on our facial muscles to communicate our emotions through our facial expressions. 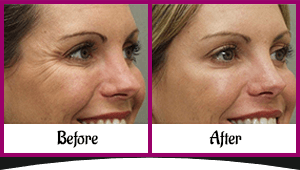 The intention of a Botox treatment is not an expressionless face. Whilst it is beneficial to soften lines It is equally important to avoid a frozen, unnatural appearance. My objective is to find a balance between these two. The results are particularly gratifying when used in conjunction with a skin care program as a smooth, wrinkle free complexion, creates a picture of freshness and youth. The injections take 5 – 15 minutes and are performed in the rooms. The effect takes 3-7 days from the time of the injection, and lasts for about 3-4 months. As it wears off one can see the specific muscles returning to their normal contracting ability. As there is no permanent muscle weakness, repeat injections are required to maintain this effect.